This is a disturbing turn of events. It serves as a renewed reminder of the dangerous conditions Pastor Saeed faces in one of the world’s worst prisons. Iran must see to it that Pastor Saeed is treated humanely and receives the critical medical attention he so desperately needs. He must be release from this torment for his Christian faith and be allowed to return home to receive medical attention in the United States and more importantly to be reunited with his loving family. Even as Pastor Saeed suffers, Iran’s brutal crackdown on Christians continues. There are reports that three more Christians were just recently arrested without charge in Iran. Reportedly, they have been beaten, one to the point of being hospitalized. Another was recently convicted and sentenced to 10 years in prison (by the same notorious judge who convicted and sentenced Saeed) for, among other things, membership in an “anti-security organization,” i.e. a Christian church. Court documents obtained by an Iranian Christian media source show that he had previously been found guilty of “apostasy” (converting to Christianity). It is vitally important that we highlight these situations. 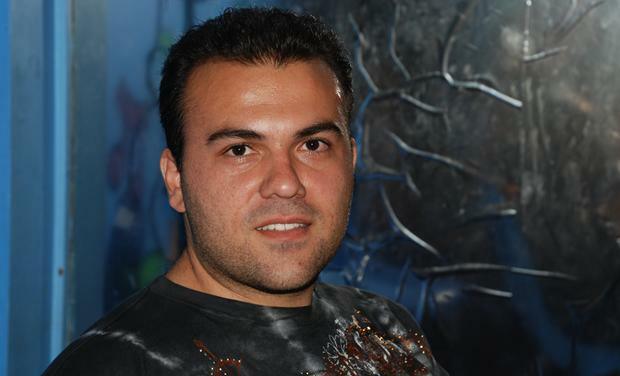 Pastor Saeed is the face of Christian persecution in Iran, but he is far from the only one. The ACLJ is preparing to launch new initiatives to highlight the persecuted church around the world and the work to expose their human rights abusers and shine light into the darkest corners of the globe. We will continue to bring you updates on Pastor Saeed’s and these new efforts. Please continue to pray for Pastor Saeed’s freedom, share his story and how your friends can take action at SaveSaeed.org, and learn more about the upcoming prayer vigils being sponsored around the globe on September 26th. A Message From God that You Need To Hear….And Proof To Back It Up! Praying for and remembering them!